I just watched that fanvid and it just made me smile. They were so happy together and willing to take on the world. 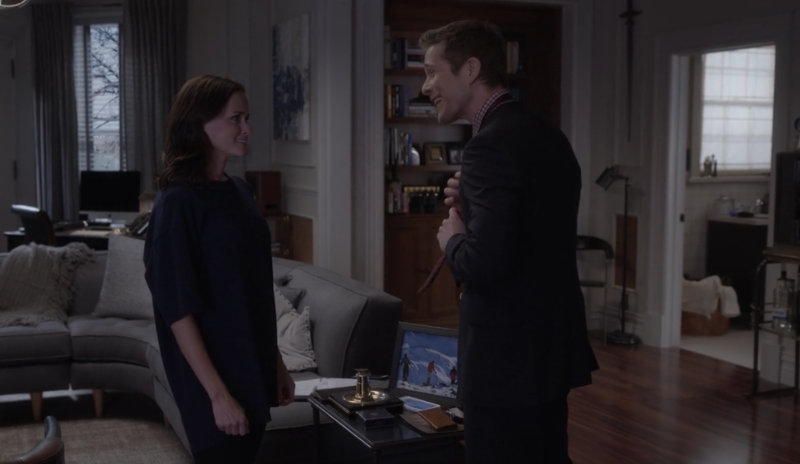 I loved that we saw Rory pursuing the relationship this time around. She was always drawn to him from the beginning and when Logan finally got on board we saw him really get to know Rory and for the first time in his life, truly connect with someone. They both helped each other in the best way IMO and mutually benefited from the relationship as a whole. God, I love that split second car cuddle. It was perfect. I love looking at stills and watching gifs of Rory&Logan. I especially love seeing the joy, the fun but also the pain. They break me. Yes to all of this! We got to see many different facets to this relationship, plus such growth for the both of them. It was such a joy to watch! lbs? I'm blanking on what that acronym stands for? Okay, I assumed that's what you meant but I figured it also may have been something I had forgotten in that episode. I hated that it was a goodbye but it was such an enchanting little scene. My heart hurts watching the revival's Winter episode seeing them so happy together, knowing they're both having affairs. ugh, ASP, WHY?! Their chemistry is still there and I still get chills seeing them together. Right?! That speaks volumes to what they both have as actors with chemistry. Even after all of the revival shenanigans, I still feel they're endgame. It would be brilliant if they defied the idea of history repeating itself, which ASP prides herself on, and were to actually make it work and become a happy family proving Logan is NOTHING like Christopher.